"I was planning to go to yoga tonight, but.."
That might sound familiar. In this day and age with busy schedules it's understandably hard to keep commitment to a sustainable yoga practice. Here are a few tips on how to avoid the last minute change of plans. 1) Plan ahead. Going after work? Don't go home first if you know it's hard to motivate out of the house again. Bring your yoga clothes and mat to work. Bring a snack if you are hungry after work. Check in with who is picking up the kids, walking the dog, etc. 2) Build a support network and community. Your friends and family care about your well being! Tell them about your fitness goals and what you've been working on. They will root you on and support you in your goals. Plan to go to yoga with friends, and hold each other accountable! 3) Sign up ahead of time. This might sound silly, but it's scientifically proven to work (just kidding, kind of). Even if there is no cancellation policy, it helps hold you accountable to a scheduled class and sets intentions. 4) Pay ahead of time. Buy a pack or sign up for monthly unlimited. Not thinking about the financial transactions every time makes it much easier to come into a class and put the focus back on yoga. 5) Set long term goals. If there's a peak pose you've been working on, it could take months before you see any real change. Setting unrealistic goals can be discouraging, as we can expect immediate results and then want to quit when that doesn't happen. All bodies are built differently, so don't compare yourself to Instagram celebrities, which actually really is scientifically proven to make you unhappy. What’s your favorite pose and why? Arm balances because physically they require so much core and arm strength, but mentally it feels like you are somehow defying gravity. What got you hooked? I love how you never fully "arrive" at a particular outcome with yoga. I'm constantly broadening my horizons and learning new things. It connects me to so many traditions throughout history, and unifies with me with close and global communities. The most amazing part is yoga always seems to guide you to exactly where you need to be and the lessons you need to learn. What obstacles has yoga helped you overcome? If I could only use only one word to describe yoga to someone who was unfamiliar, I would use "grounded." For me, it was overcoming anxiety, grief, and loss. Some of yoga’s most profound effects on health have to do with its ability to alter behavior. The modern understanding of the brain is the phenomenon of neuroplasticity (rather than being a static structure, this organ is constantly remodeling itself). I've used yoga to deepen my connection of mind, body, and soul. It has helped me stand on more solid footing, and use that as an anchor to take on risks. Who was your great mentor/teacher? So many including all the AYL teachers! I've found my personal style through a combination of mentors. Ariel Howland, Jen Hecht, and Laurie Sleep to name a few. Tell us your practice style and how did you choose your yoga method? I mostly teach and practice Vinyasa, although there is a place for all different styles. For me, I love the flow and build up of a Vinyasa class as being a continuous movement. It helps me connect pranayama (breath) to the movement, and apply tapas (physical and mental heat). There's a lot of room for creativity in the sequencing (and error! ), which is why it's important to study intelligent sequencing. What is the most rewarding part of being a yoga teacher? Helping others feel good and at home in their own bodies. It's really that simple. Favorite food? Ethnic, spicy, and flavorful. I love to cook. Indian food, sushi nigiri, Thai food, Russian food (my heritage), a creative salad. Favorite place to travel to? I'm a warm weather person. I love being in water. What’s your favorite pose and why? Trikonasana (triangle) and ardha chandrasana (half moon). I love how open, yet grounded, my body can feel during these poses. Where did you do your training? My very first 200 hour training was at White Lotus Foundation in Santa Barbara in vinyasa. Later, I finished an advanced 300 hours at Barefoot Movement in Oakland. Most recently, I took Judith Hanson Lasater's restorative teacher training. I continue to take classes with Leah Gillman, Kristyn Marshman, and Abby Tucker. When did you start practicing yoga and why? I started practicing yoga at a fitness center in 2001 when I lived in Columbus, Ohio. It was mainly to relieve the stress I was feeling working in a corporate office. Like most, it was a physical practice in the beginning for me. But then, in 2006 when I moved to Vegas, I found an incredible ashtanga studio called It's Yoga that shifted everything I thought about yoga. I still really miss that place! Who was your great mentor/teacher? I'm inspired by a lot of different teachers, so I don't have just one mentor. Maggie Verderame was the owner of It's Yoga in Vegas, and though she doesn't teach that style any longer, it was because of her that I found a true love and consistent practice in yoga on and off the mat. Leah Gillman, the director of Barefoot Movement in Oakland, taught me more about anatomy and asana than I ever thought possible. Carrie Jeroslow, was/is my reiki master. She brought the mystical into my life, and introduced me to meditation and manifestation and so much more. I'm forever grateful to these ladies! Tell us your practice style and how did you choose your yoga method? I love vinyasa flow. I also love to feel the subtle body. The parts that you cannot see with your eyes. The part of yoga that you can only feel. It's a very personal thing that you may discover after a dedicated practice. Favorite place to travel to? Prague, Madrid, Edinburgh. If I could travel every month, I would. What’s your favorite pose and why? Legs up the wall. Hands down the best remedy for anything -- bad mood, sore muscles, fatigue, stress... the list goes on. Where did you do your training? My very first training was in Sacramento with Cori Martinez at Asha Yoga. I then went on to study with Max Strom, Paul Grilley, Michelle Marlahan, and Mary Pafford. Most recently I took a Somatic Yoga Therapy Training with Janice Gates and completed Level 1 iRest with Richard Miller. What got you hooked? Yoga was the first movement based practice that taught me how to be kind to my body. When did you start practicing yoga and why? I started practicing yoga during grad school thanks to a friend who was going through her teacher training at the time. She used me as her guinea pig and I found a lifelong practice of compassionate, embodied movement. What obstacles has yoga helped you overcome? Yoga continually teaches me to slow down enough to listen to my body, then gives me the tools to respond appropriately and authentically in the moment. Who was your great mentor/teacher? There are too many to name. I am grateful to all of my teachers and consider myself a forever student. Tell us your practice style and how did you choose your yoga method? My style is slow, purposeful and nourishing. I think it chose me. What is the most rewarding part of being a yoga teacher? Empowering others with tools to heal, self-soothe and build long, healthy sustainable lifestyles. When I was in college, I spent part of a summer in Nepal experiencing the culture and visiting many monasteries. When I returned home to Boston, I felt a little lost and started to search something could make me feel more connected and alive, like the way I felt in those monasteries in Nepal. I had tried yoga before but after this trip and upon finding the most wonderful teacher Ame Wren, I was hooked. I fell in love with the way yoga could make me feel even on my worst days, I went every day of the week and I haven't stopped since. Yoga has helped me manage depression, anxiety and life as a human being on this beautiful but harsh planet. What's your favorite pose and why? Sirsasana. Headstand! I love how standing on my head instantly gets me out of my head. I always feel grounded and more connected afterwards. I did 200 and 300 hours of training with Stephanie Snyder. I have done 100 hours of training with Annie Carpenter and continue to train and study with her on a regular basis. When a local middle school in Berkeley contacted our studio to offer yoga for their teens, we were ecstatic. It’s been a long time since I’ve been in middle school. So I started to think back to what that felt like. Intoxicating. Scary. Funny. Awkward. Confusing. Here’s a description I wrote for the class: Yoga is also a great tool to calm the mind and stay in the present. Using various yoga postures to build inner and outer strength and flexibility are the main focus of this class. Part of the class will be devoted to partner/group poses and playful yoga games. Experience emotional balance through the physical and mental benefits of yoga by practicing breathing exercises, flowing sequences, balancing poses, and deep relaxation while building a healthy relationship with your body. Positive self-awareness and esteem are encouraged! It’s only been two weeks, but watching the students start to relax in the space and express themselves fully has been fascinating. A couple things have changed since I was in middle school. For one, all the kids have cell phones. A lot of things haven’t. Here’s the thing: kids have different needs. Some of them are growing up too quickly, are out spoken, and attention starved. Some are focused, self-conscious, and worried. Many pick up on social cues from each other. They look around to their peers, trying to figure what is ok, and what is allowed, and how they should be. The challenge of the school system is of course to meet the needs of all the students. I remember being particularly quiet in Middle School. This might not come as a surprise, but I’ve always liked observing. I would speak out only to my closer friends in smaller groups. I could never understand why students would disrupt teachers in class. Didn’t they want to know what the teacher was going to say? If I did lose interest, I turned inward instead. Getting lost in my own thoughts and daydreams. Later in the class, the teacher asked the students if they ever feel any negative emotions in their own body. She shares that she feels anger in her jaw. When she was younger she would often forget she was clenching her jaw, and it would hurt by the end of the day. One student says “Nope, I don’t have negative emotions, it’s always butterflies.” The girls around her giggle. Aparigraha is the concept of non-possessiveness, non-grasping or non-greediness. It is an invitation to resist what is resisting you. Yoga is not a one size fits all. We can take what we need out of the practice. In fact, the quicker you abandon any preconceived notions about what yoga is, the sooner you will begin benefit from it. Each of our 7th graders is on different roads, come from different types of homes, and have different needs. If I could offer them only one piece of advice, it would be: focus on your own story. Life is transient, fluid, forever changing. It’s hard enough, without someone telling you who you need to be. Is it ok to feel bad thoughts? Yes. Is it ok to experience negative feelings? Yes. It’s ok. Acknowledging them is half the battle. You are enough. Forgive yourself for them instead of berating yourself. And then continue down a path that resonates more with you. Replace those thoughts with ones that vibrate with your soul. Here’s my second piece of advice: It’s also ok if this takes you your entire adult life to learn how to do. Downdog on a full stomach doesn't sound so appealing, but stomach grumbling doesn't feel so great either! Give your body the nutrition it craves to fuel up but don't over do it. Hungry before yoga but not sure what to have before class? Here are a few tips. Avoid any foods that are high in fat and anything spicy before working out to avoid feeling sluggish and getting an upset stomach. It’s also extremely important to make sure you stay hydrated as well. 7. Simple smoothie containing 1 date, 1/2 frozen banana, 1 cup unsweetened almond milk, and a dash of cinnamon. Mechanics: This pose resembles an upside-down V-shape. The hands are placed in front of the head at approximately shoulder-width distance. The palms and undersides of the knuckles of the fingers are pressed firmly to the floor. Typically, the fingers point directly forward, though depending on the level of comfort in the wrists, the fingers can point inwards or outwards as well. The upper arms are activated, and there is a slight inward rotation so that the armpits are directed towards the face, and the soft inner part of the elbows are directed forwards. Those with hyperextension in the elbows may wish to maintain a small bend in the joint to avoid over-extension. The feet are approximately hip-width distance apart, and the heels may remain lifted or press all the way down to the floor. The feet are parallel and the toes point forward. Knees may remain bent, or the legs can straighten. The hips lift up into the air, and contraction of the lower abdominal muscles assists in raising the hips away from the floor. The back is straight, the shoulders release down away from the ears, and the back of the neck remains relaxed so the head falls towards the floor. In general, the appropriate distance between the hands and feet can be found from transitioning from an upper plank position into downward facing dog, though the distance may be smaller depending on your body and flexibility. Benefits: Downward facing dog stretches the entire back side of the body while strengthening the front side of the body. Though it is considered a resting pose, for many beginners, and even those with years of practice under their belts, the pose is extremely challenging. It simultaneously offers tremendous stretch along with strength. Gratitude. 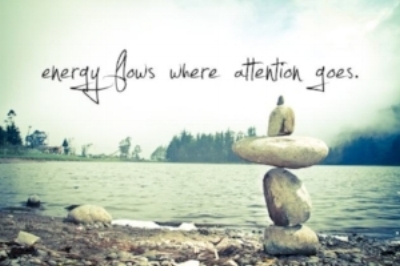 A word often heard in the yoga community. Gratitude feels different from giving thanks. It feels like an experience. But the interesting thing about gratitude, is that it is a skill. To allow oneself to feel grateful for something, isn't always a natural reaction. It is easy to feel it in certain occurrences. Say last minute a mother finds a sitter so she can go on date night, and she feels grateful. What is really monumental is finding gratitude in the less obvious moments. Being grateful for opportunities that passed us, for roads not travelled, for moments that feel like failure, for days that seem uneventful. That might sound exhausting, difficult. You might ask "how can I continue to surround myself with positivity in the face of challenges?" And you would be right. It is hard. Many psychologists have written and spoken on the negativity bias- the notion that even when of equal intensity, things of a more negative nature (e.g. unpleasant thoughts, emotions, or social interactions; harmful/traumatic events) have a greater effect on one's psychological state and processes than do neutral or positive things. The first step is awareness, the next is intention. How can we practice to step outside of our emotions for a moment, to understand them. How can we see the bigger picture in the face of anger, sadness, fright, or frustration? "We are not human beings having a spiritual experience. We are spiritual beings having a human experience," said Pierre Teilhard de Chardin. So perhaps if we acknowledged our negative feelings, became aware of them, and accepted them, then we could practice taking ownership of them. We could replace them with intention, we could set them free. What would be left in the empty places they resided? Gratitude.